The official announcement came on the 16th of October. Piturca was signing for Al-Ittihad after all. 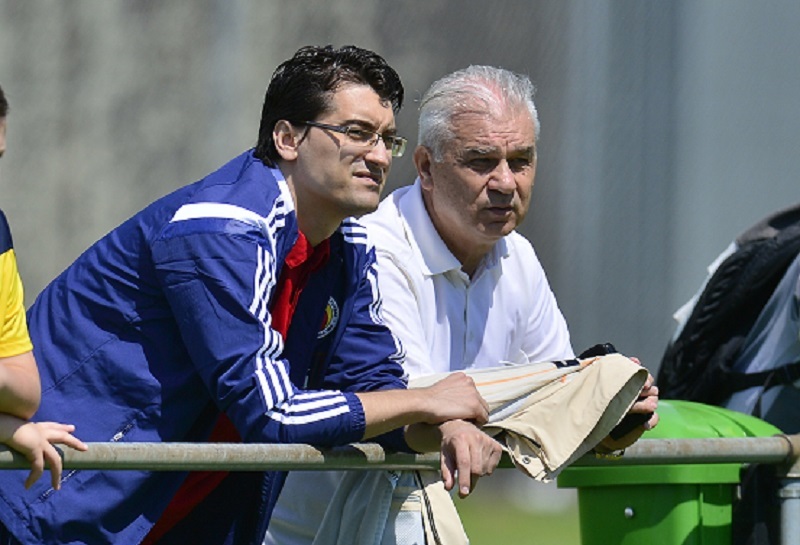 It was not only in the air, but also in the papers for more than three weeks, yet the move managed to surprise the young chief of the Romanian Football Federation (FRF), Razvan Burleanu. “Right now we are talking about rumors, so we should all stick together and focus on the double against Hungary and Finland. Victor Piturca told me that he is not leaving. He is not leaving for now, but didn’t say for how long is he planning to stay either”, said Burleanu on the 29th of September. In spite of this statement, the 30 years old who didn’t think that a Plan B was needed until Plan A was on a plane to Jeddah. He might have had a list of coaches put together by his advisors right away, but he really started to cross names off it once Piturca left. A huge strategic mistake, as we all found out in the 10 days that went by, as Burleanu’s dream of getting Mircea Lucescu back in charge of the national team turned into a nightmare for the fans who need to accept that there’s one solution left. And that’s Anghel Iordanescu, who hasn’t coached a single team in almost 10 years, and was more keen on politics than football, who will be getting help from a trio of young coaches: Viorel Moldovan, Daniel Isaila and Ionut Badea. Apart Moldovan, I don’t really know what the other two can bring to the national team. But, in the end, I feel exactly the same about Iordanescu, who’s more familiar with the names of relegious characters than those of Romanian players… The list of Romanian options was long enough, going from Olaroiu to Petrescu, Boloni or Contra, there was always the alternative of bringing in a foreign coach, and those saying that FRF lacked the money to attract such names, I’d say that the issue should have been on FRF’s agenda when Piturca was promised that he would be allowed to leave without having to pay a hefty compensation, if he got 4 points from Romania’s previous two group games. With less than 3 weeks before a very tough game, we still await the confirmation of the new structure of Romania’s coaching staff. It should finally arrive on Monday, yet the damage is there to be done. Iordanescu represents a temporary solution. Better said: Iordanescu represents Burleanu’s inability to think ahead and get things done under pressure. And the longer it will take him to understand that he needs a man and a project, the bigger the chances to throw away the positive start of this qualifying campaign.